To continue our presentation on embellishments we begin discussing the main description of the ornamental categories and demonstrate the appropriate marks, symbols and other methods used for altering the duration of the notes and rests within the melody of a composition. Ornamental Categories – General Plan – Before we begin, I would first like to lay out the general plan for this article as follows. Embellishments – The Ornamental Categories – Part 24c provides a “big picture” overview of the different groups of ornaments, all of which are embellishments, as used in music composition and performance. Also, this particular article includes the description of each category and its related sub-categories. It does not describe each individual ornament rather it describes each of the categories of embellishments. A distinct graphic has been assigned to each individual category to help you keep the individual ornaments sorted out and in their correct ornamental categories. Article Plan – Also, I think it best to describe the article design plan which applies to all of the individual articles within the embellishment mini-series as follows. First, each article includes the specifics and details of only one ornament. 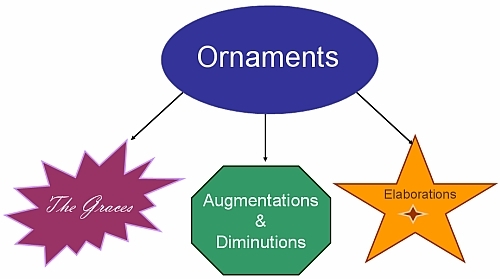 The graphic for the embellishment or ornamental categories is at the top of each ornament’s article so it will be easy to learn and to remember which ornament belongs in which embellishment category. The individual ornament is described in detail. Also each article includes a chart or series of charts demonstrating the ornament as it is written in a musical manuscript. The marks and/or symbols used are the shorthand version of the ornament. A second chart demonstrates the full notation of the ornament as used when fully written out. Short audio clips are included for each ornament as well. My intention here is to provide a written description, a visual representation and an audio representation of the related marks and symbols demonstrating how they are drawn or formed and what each of the ornaments (within each category) mean both visually and cognitively. With the focus of presenting ornaments using this multi-sensory (audio-graphic-description) approach I hope it helps you to understand at a deeper level than you would when attempting to learn from the previously and more historical presentation model (graphic-description). This multi-sensory type of experience should prove to be more supportive for you when learning the differences between the ornaments. To read, see and hear what they sound like rather than just seeing them graphically with a written description on a two dimensional page should also speed up the learning process. Ornaments are those devices which cause or affect an alteration of a specific note or small groups of notes, within a measure or within adjacent measures of music, rather than full phrases, sections or the entire composition. They add an additional collection of marks and symbols to those previously presented. The ornaments fall into three main ornamental categories as we will now explore. The three main ornamental categories as used in music notation are the grace ornaments, augmentation and diminutions and the elaboration of pauses and cadenzas. Let us begin our review of the embellishments starting with the graces category of ornaments. The first of the ornamental categories are the grace ornaments. The grace, in the context of music, is a category of embellishments used in music which can be affected by either improvisation (as produced by a performer and not written in the score) or written out in full notation which fully defines and clarifies a specific symbol or set of notation marks. Grace ornaments are used to represent or direct specific performance alterations of the basic melody embellishing or adding to the melody, based upon the type of grace mark being used. In either case, improvised or written out in full, the affect of the grace ornaments is essentially the same. Definition – A grace is a collection of performance marks, specifically, a musical ornament which alters the duration of a single note or a small group of notes. They are often referred to as the grace embellishments. The graces are typically thought of as miniature note symbol, physically smaller than the standard note size, however other marks in this category are written in miniature or fully expressed and written out by the composer in full size. Most always the grace ornaments are used in conjunction with other symbols or other marks such as those for articulations, marks of musical expression including various marks and symbols used for altering the basic sound characteristics of dynamics, duration (based on note shape) and pitch. The grace ornaments also have two sub-categories based upon the physical performance method used to produce them and the distance between the notes in reference to pitch, i.e. the interval. The four sub-categories are smooth, shaked, closed and open grace ornaments. Two of them, smooth and shaked graces are directly related to a method of finger or hand movement and a composer can either use the associated ornament symbol or they can be fully written out. Ornaments direct the performer to alter their respective method of playing them or they add notes embellishing the applicable note(s). As mentioned above, they can be written out in full to avoid confusion should the composer elect to prevent errors in interpretation or during actual performance. The other two sub-categories are reflective of the size of the interval or the degree of “space” in between the alternating notes. Brief descriptions of these four categories of the grace ornaments are given below. 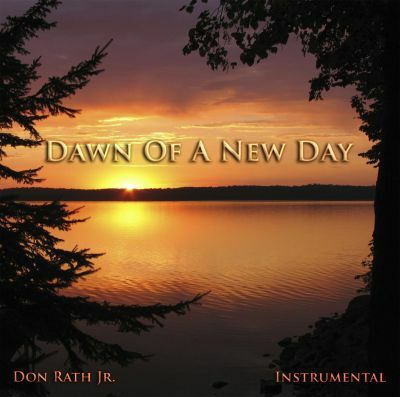 Part 24d – Smooth Graces are produced by sliding the finger along a fingerboard or fretboard. The most commonly used smooth graces are the appoggiatura, the acciaccatura, the mordent and the slide. Part 24j – Shake Graces are produced by the shaking of a finger (which could include the entire hand) in a back and forth manner causing multiple repercussions or alternations of notes. In this context, alternations and repercussions are defined as a repetition of two or more notes or tones such as in either of these two sequences; A-B-A-B-A-B,A or B-A-B-A-B-A-B, etc. A common shake grace is the trill or relish. The graces are also classified in two different ways based upon the interval involved in the ornament. In this context, an interval is the vertical distance or “space” (reference the musical staff) between the notes being performed. The smallest interval used in a musical scales is the semi-tone or one-half step. 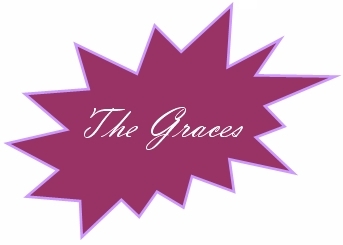 Close Graces are sub-categories of both the smooth and shake graces. They are defined and caused by the use of the finger wavering back and forth causing a small interval, less than a semi-tone, to be produced from a single sounding note. The most well known is the vibrato. Open Graces are also a sub-category of smooth and shake graces. They are defined and caused by wavering of the finger in a back and forth fashion but for a larger interval such as a semitone or greater. 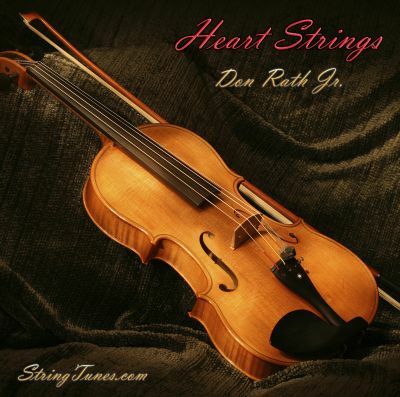 For stringed instruments for example, that would mean moving a finger from one position or fret to another in a smooth and elegant fashion or by using two fingers placed on different positions or frets on the fingerboard. 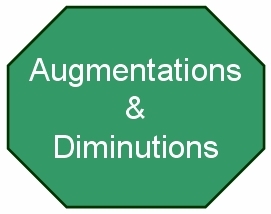 The second of the ornamental categories is called the augmentations and diminutions which change the time related factor of a note’s value, either lengthening it or shortening it, respectively. Both augmentations and diminutions can affect melody and harmony however their strongest influence is upon the melody of the composition. Additional sub-classes of this type of ornament are the arpeggio, the rubato and the suspension ornaments. Also, due to the relationship of time and the duration of a given note or small series of notes, the expression marks of decelerando and accelerando, as defined in the Expression in Music article series, affect the performance of augmentations and diminutions however these expressions fall outside of this category of ornaments. They are not in and of themselves classified as embellishments rather they are expressions in music. The third of the ornamental categories is call the elaboration of pauses and phrases. Pauses and Cadenzas directly impact the rhythmic value of the notes involved. 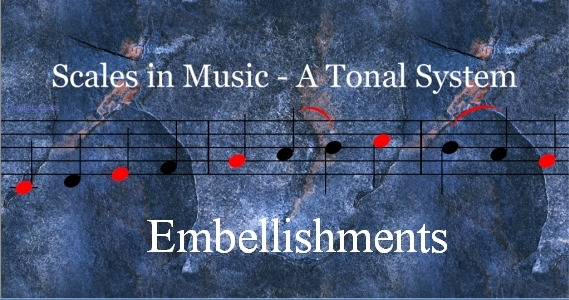 The most commonly used marks for this category of embellishments are the long, short and standard fermata which has previously been presented in a different article. Please see our extensive article The Fermata – Music Theory – Part 17. This article thoroughly explains the fermata including the three primary forms of the symbol as used in music notation. Secondly, cadenzas are either improvised by the performer or written into the score by the composer. Generally, they are short passages which pause or sustain a pitch or a chord. They are generally written using smaller in physical size than the normal sized notes. Both pauses and cadenzas either influence rhythm or meter thus they are related to time and the beats within the measure. The most well know of this type of ornament is the rubato ornament. Embellishments – Ornamental Categories – Part 24c concludes with this overview of the ornament categories as used in music notation and performance. Ornaments provide a device or tool which a composer uses to alter a note or small series of notes. The three main categories of ornaments include the grace ornaments, augmentation and diminutions and the elaboration of pauses and cadenzas. Their use divides or extends note duration values and thereby alters the tonal qualities, embellishing them in such a way as to add to (augment) or to divide (diminution) a note’s duration affecting the emotional impact within the listener. It is important to remember and keep in mind as you study this material that the information in the mini-series Expression in Music overlay this entire presentation and all of its parts. 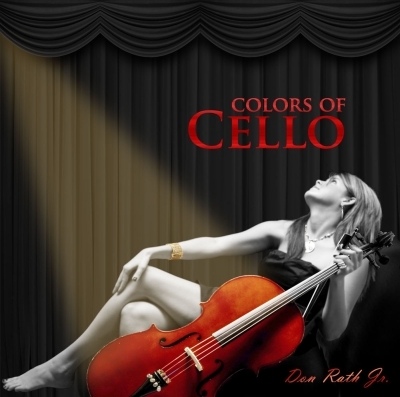 The marks and symbols, words and phrases of musical expression influence the embellishments in all categories. 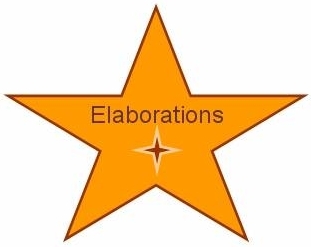 Embellishments – Foundation and Guidelines – Part 24d continues this presentation providing a brief overview and explanation of main guidelines for the use of the embellishments.